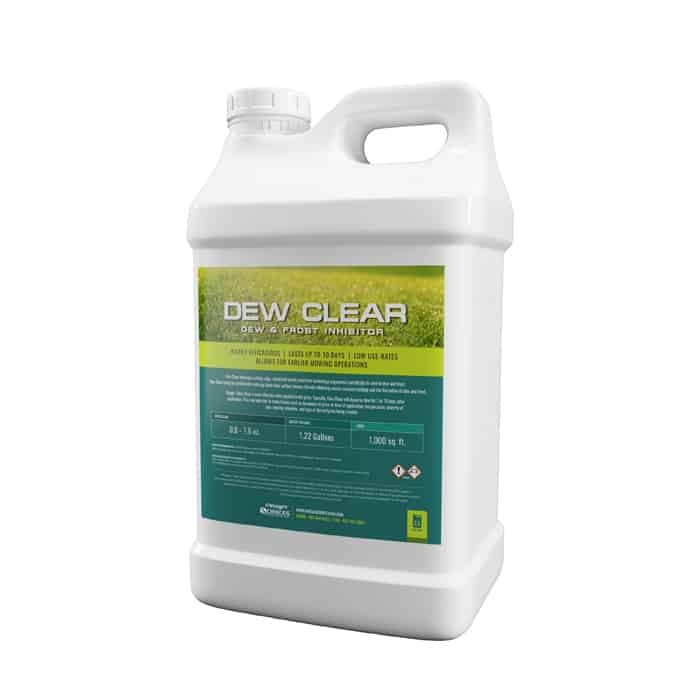 Dew Clear leverages cutting-edge, surfactant-based, penetrant technology engineered specifically to control dew and frost. 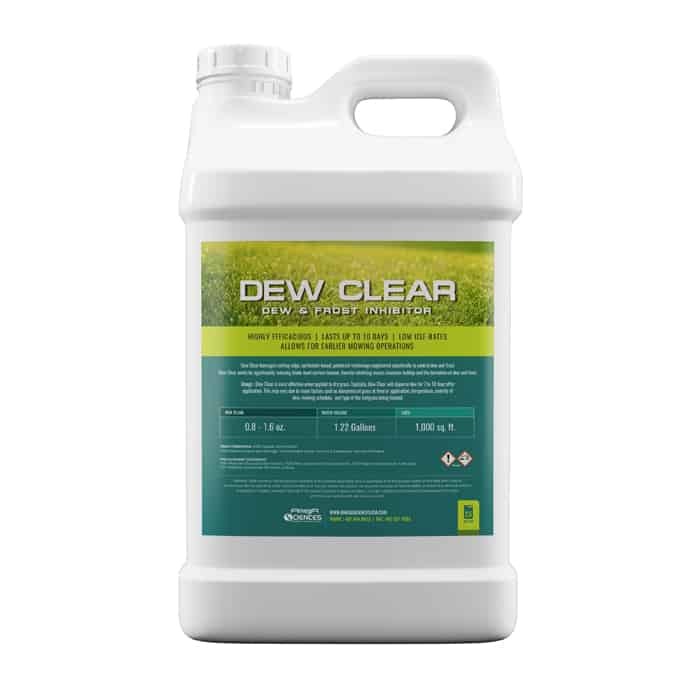 Dew Clear works by significantly reducing blade-level surface tension, thereby inhibiting excess moisture buildup and the formation of dew and frost. Dew Clear is most effective when applied to dry grass. Typically, Dew Clear will disperse dew for 7 to 10 days after application. This may vary due to many factors such as dampness of grass at time of application, temperature, severity of dew, mowing schedule, and type of the turfgrass being treated.